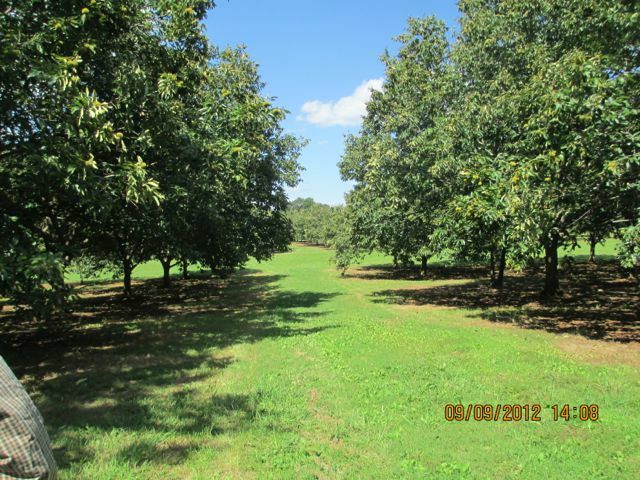 Dunstan Chestnuts seedling trees™ are the best and most widely planted chestnut trees in America - they combine the excellent nut quality and tree form with blight resistance (not immune). Dunstan chestnut trees have been grown successfully from Maine and New York, west to Illinois and Wisconsin, and south to east Texas and Florida. They are excellent for commercial and backyard orchards, and are the best tree to plant for attracting deer and wildlife. Dunstan Chestnuts™ begin to bear at only 3-5 years of age of the tree, care and climate they receive. Trees planted in colder regions such as USDA zone 5, may bear between 5-7 years of age. The best location is a south slope, with good air and water drainage - avoid frost pockets. A sheltered north-facing slope protected from drying winds and low sun of winter may be better for cold windy sites.. They produce heavy annual crops (never skipping a year like oaks) of very large, sweet tasting (no tannin) nuts that average 20-35/lb in size, and can produce 20 lbs/tree after only 10 years, and as much as 50-100 lbs/tree at maturity. They are easy to grow and thrive in a variety of locations. Your planting site selection should be well-drained (better drained than apple trees require), non-low lying area, sandy loam soils with a pH between 5-6.5. The best location is a south slope, with good air and water drainage - avoid frost pockets. A sheltered north-facing slope protected from drying winds and low sun of winter may be better for cold windy sites. The most common mistake in chestnut cultivation is to plant them on sites that are too wet or too "heavy" (too much clay). Dense clay soils stunt root growth and hold on to too much water, leading to weak, slow-growing trees. Clay soils can be tolerated if there is good surface drainage (slope), but chestnuts do best on deep, sandy loams. Full sun is required for nut production minimum of 6 hours of full sun. Non-filtered sun. Prepare the area by removing any weeds prior to planting. This step is often overlooked but is absolutely critical to any successful planting. Weeds and grass steal light, water and nutrients from your trees. We recommend weed mats. Dig the hole twice as wide as the pot but no deeper than the root-ball. Do not add amendments to the soil such as mulch or organic matter, this acts like a sponge and increases root rot and robs the trees of nitrogen from the fertilizer (microbes breaking down the organic matter use nitrogen in the process). Plant the tree at the same height they were grow in the pot, not deeper. Bare root trees will have a noticeable color difference between the roots and the trunk. Plant at the depth of this color difference. Fill in the planting hole with the native soil. Set the tree in the middle of the hole. Avoid planting the tree too deep. Using some soil, secure the tree in a straight position, then fill and firmly pack the hole with the native soil. We recommend creating a water-holding basin around the hole and water the trees in thoroughly at planting. Remove the berm at the end of the second growing season. Water slowly at the drip-line. Water in thoroughly, making sure there are no air pockets around the roots. Air pockets prevent roots from growing into the soil around it. After the water has soaked in, spread a protective layer of mulch 2-4" deep around the trunk pulling the mulch a few inches away from the trunk to keep the moisture from accumulating next to the bark. Choices for mulch, leaf litter, hay, shredded or fine bark, pine needles or use weed mats to prevent weed competition and to reduce water evaporation. Plant at least 2 Dunstan Chestnut seedling trees for pollination, but production is better with more trees when planted 20-50’ apart. Ideal spacing for nut production is 35-40' apart. It is important to provide a balanced fertilizer such as Scotts Osmocote time release with minor elements or Espoma Holly Tone Organic Fertilizer. Minors are very important because if they are not available in certain soils, as they can be a limiting factor for plant growth. We recommend using Scotts Osmocote for younger trees Indoor/Outdoor (19-6-12) recommend amount per directions or Espoma Holly Tone Organic Fertilizer. Spread the fertilizer evenly under the entire canopy of the tree avoiding a 5-inch area around the trunk. Mix in top 1-3 " of soil, then water in. For mature trees we recommend using Scotts Osmocote Vegetable/Flower (14-14-14) recommended amount per directions. Your local extension service will make recommendations along with the soil test. Strong rains can also leach away much of the Nitrogen, which is highly soluable. Nitrogen is a key element required for plant growth. Do not fertilize at planting. Quick-release lawn or garden fertilizer can burn the tender roots of young trees before they become established. We recommend waiting at least a month after the trees have leafed out before fertilizing with a time-released fertilizer such as Scotts Osmocote. After applying the fertilizer make sure you water your trees lightly for absorption. The first year is a critical time for the establishment of a new pear. Water thoroughly twice a week on light soils and once a week on clay soils. Soak the entire root system deeply. Soil's acidity or alkalinity is determined by pH. The best range for growing most fruit and flowering trees is between 5.0 and 6.5. Soils in much of the South fall within this range. Soils in pine woods are often lower (4.0-5.0) , and need to be raised by the application of lime or dolomite (see your County Agent for a soil test and recommended rates). Other areas (such as Texas) have soils with pH>7, which will need to be acidified or lowered by the application of nitrogen sulfate or other sulfur-based fertilizers. Late spring freezes are a problem in northern locations, especially after the plants have leafed out. If your trees have already started to grow and you expect a late freeze, then you should make every effort to protect them, such as using Grow Tubes and other protective measures. Click for information on properly using frost cloth. Some areas even in Zone 5 can have killing frosts as late as Memorial Day! Dunstan Chestnut trees can tolerate temps as low as -20 degrees when fully dormant and established trees. Normal growing altitude is 4,000'. The Dunstan Chestnut requires 250 chill hours for for the chestnuts to ripen. Fertilization: Do not fertilize at planting. Pruning: Pruning consists of the removal of dead, diseased, or damaged branches, maintaining size (width within your landscape). Watering:Newly planted trees should be watered regularly.This is the most critical step in the establishment of your new trees. See watering section under "How to plant and grow"
Available for pickup at farm Treeband(Qt size), 3-gallon, 7-gallon, 15-gallon, 30-gallon, 45-gallon and 65-gallon trees. Please call for quantity prices for larger sizes, and shipping costs.